Team United Praise Ministry – Consists of a praise team, musicians, and dancers. The worship ministry strives to serve God with excellence, setting an atmosphere that ministers to God to receive His heart to us. 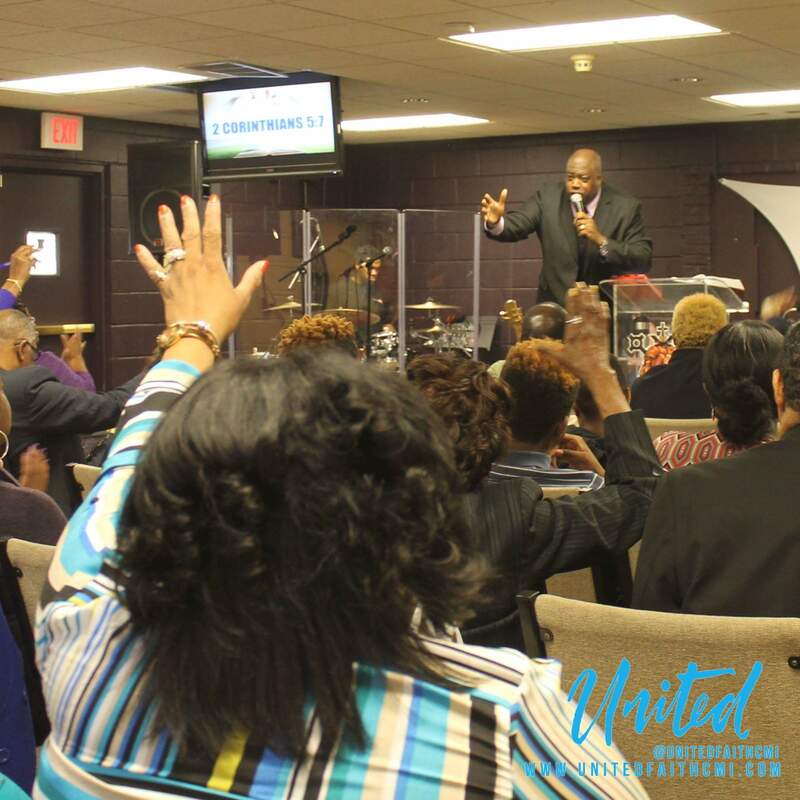 New Members Class – Six weeks of foundational teachings on the vision, mission and becoming active in United Faith Center Ministries International. Foundational Teaching Class – Teaching on the basic instruction of Christian Doctrine for furtherance of Christian growth. Servants Hearts Class – Foundational teaching on serving and honor prior to working in the ministry of helps. Children Teaching Class – Dedicated to educate children in the teachings of the Bible. Dance Ministry Class – Training class for those interested in dancing in UFCMI for understanding and preparing in the ministry of movement. Ministers Training Class – Class to equip those called to the fivefold ministry according to Ephesians 4:12. Prophetic Enrichment Class – Teaching on the prophets; giving understanding of the gift & the office of the prophets. S.E.N.D. M.E. – OUTREACH MINISTRY- Seeking Everyone Needing Devine Mercy Every day. The SEND ME Outreach Ministry is to Go, Speak and Do the will of God by reaching to others with the love of God. Standing on the principles of God and be directed by the Holy Spirit to complete the Great Commission. Prayer Ministry (P.A.G.A.) The purpose of the prayer ministry is to bring the presence of God petitioning Him for His Glory in worship and in the lives of the individuals. "Paga" ministry conducts corporate prayer, intercessory prayer, and individual prayer as needed. Uniquely United Women's Ministry (U2WM) – Unique strong individuals united to strengthen and encourage other women and young girls to be who God has created them to be: birthing spiritual gifts and natural gifts that God has placed in our hands to flourish and prosper. Covenant Keeper Marriage Ministry; The purpose of the marriage ministry is to strengthen marriages to walk in covenant to glorify God in the foundational belief of marriage. H.E.L.P.S. (Having Efficient Loving People Serving) – Helps Ministry Assists the Pastor and congregation as needed with aides of services during worship. Gatekeepers Ministry – Assists with the worship services through greeting & seating while creating an atmosphere of hospitality. Hospitality Ministry – Serves Worship Ministry during weekly services as needed. Working with Special Events Coordinator & Pastoral Care. Media Ministry – Media Ministry is responsible for the audio, video & photography. Working TOGETHER with the teams collecting recorded information for the purpose of weekly power points, maintenance of website and social networks. Membership Services – Responsible for the intake information of new members, providing the proper information needed to stay connected, for furtherance of growth and fellowship. Pastoral Care Ministry – Armor bearers & armor bearer assistants serves the Pastor and Pastoral guest during worship and special events. Security Ministry – Responsible for overall security of the rental facilities, parking grounds and service of protection for people. Special Events Coordinator – Responsible for scheduling weddings, pastoral events & church fellowships as listed in yearly calendar of events.